Creative Medical ID Alert Bracelets and stylish jewelry custom engraved for men, women, children - Pastel triple strand medical id jewelry at Creative Medical ID. Break out of the norm with this breathtaking design. Three eye catching bead strands connect to your Medical ID Tag. Perfect for the office or girl's night out. 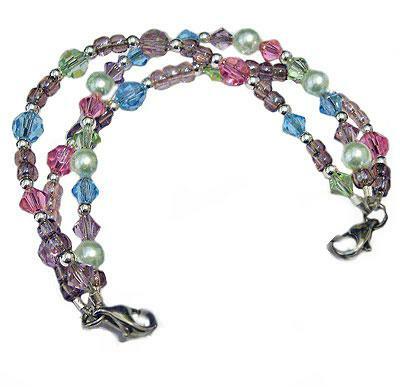 Bracelet features Swarovksi crystals, crystal pearls, glass beads and sterling silver rounds. No further discounts on this triple beaded strand. 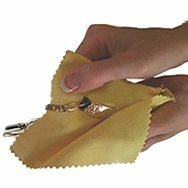 Creative Medical ID Beaded Strands: All beaded�Creative Medical ID strand come with a�90-day guarantee, and orders arrive at your door with a Free Medical Emergency Wallet Card and complimentary�Organza Jewelry pouch. Thanks for shopping with us.